A Maine law prevents large retailers like Macy’s, Sears and Wal-Mart from being open on Thanksgiving. According to Carolyn Beem, L.L. Bean’s spokeswoman, L.L. Bean is a special case and will be open. A Maine law prevents many large retailers like Macy’s, Sears and Wal-Mart from being open on Thanksgiving. 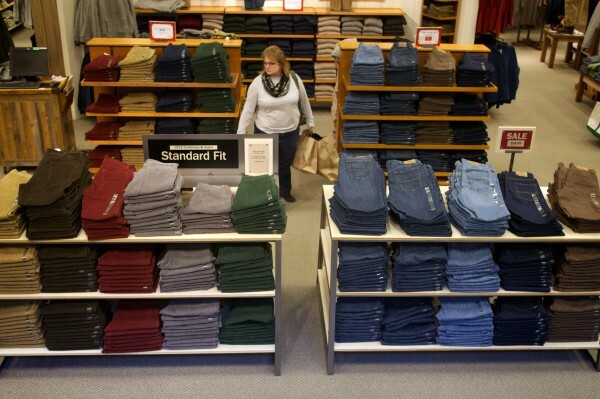 PORTLAND, Maine — Don’t be fooled by the national ad campaigns from large retailers like Macy’s, Sears and Wal-Mart, which are trumpeting that they’ll be open on Thanksgiving and offering tremendous sales. Not in Maine they won’t. Maine is one of only three states that prohibits almost all businesses from being open on Thanksgiving, remnants of New England’s Puritan-inspired Blue Laws, according to Curtis Picard, executive director of the Retail Association of Maine. The other two are Rhode Island and Massachusetts. Maine’s law includes a number of exemptions that allow some specific businesses to open on Thanksgiving. Among them are movie theaters, restaurants, pharmacies, bowling alleys and gas station convenience stores, which often carry some essentials like butter, milk and eggs for those faced with minor last-minute dinner dilemmas. But if you haven’t bought your turkey by Nov. 28, Thanksgiving, don’t expect to find a supermarket open to sell you one. There is also an exemption that allows retail stores with fewer than five employees and less than 5,000 square feet to be open. L.L. Bean is a special case. It will be open on Thanksgiving. Because it had always been open on the holiday, it was grandfathered in when the original law was passed in 1963, according to Carolyn Beem, L.L. Bean’s spokeswoman. However, Elaine Apostola, reference librarian for the Maine State Law and Legislative Reference Library, isn’t so sure. A search of the House and Senate floor debate on the original bill turned up no mention of a special break for L.L. Bean, she said Tuesday. 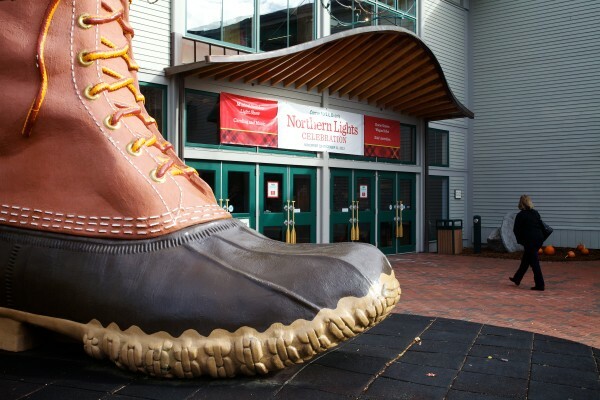 Whether that exemption was carved out specifically for L.L.Bean or not, Apostola can’t be sure. Regardless, Picard believes the exemption allows L.L. Bean to remain open. So what of other businesses like L.L. Bean that sell boating and sporting equipment? Will they take advantage of the exemption allowing them to be open on Thanksgiving? It appears most will not. Old Town Canoe’s factory outlet in Old Town; Kittery Trading Post; Eastern Mountain Sports, which has stores in Portland and South Portland; West Marine, which has stores in Portland and Southwest Harbor; and Cabela’s, which is in Scarborough, will all be closed on Thanksgiving. However, the law prohibiting stores from being open on Thanksgiving is not without controversy. Two bills — LD 461 and LD 1197 — were introduced last legislative session that would have changed the law. One would get rid of the law that prohibits stores from being open on Thanksgiving, Easter or Christmas. The other would increase the 5,000 square feet threshold to 10,000 square feet, allowing a large proportion of businesses the opportunity to open. Neither, however, gained enough traction to go anywhere. The retail association didn’t take a stand on either one because it has members on both sides of the issue, Picard said. “Some folks would like to open; others say this is a day for family, it hasn’t been an issue and we should stay closed,” he said. However, many consumers are apparently still interested in shopping. These days, people are sitting around on Thanksgiving, surfing the Internet on their iPads and laptops, buying things from online retailers that are always open, Picard said. “Bricks-and-mortar retailers are trying to compete with some of the sales that are slipping away to online-only retailers,” he said. While it wasn’t a priority this year, Picard could see revisiting the Thanksgiving closure law in 2015 or so. A bill he could see the retail association supporting is one that would give municipalities and their voters the local option to decide whether stores can open on Thanksgiving. Meanwhile, Mainers who relish the thrill of a shopping frenzy can fortify themselves and rest up on Thanksgiving to get an early start the next day. Most of the state’s retailers plan to open early and offer special sales on Black Friday, the day after Thanksgiving, which has become the signature retail shopping day of the year. Shoppers are advised to check store websites to find out when they will open on Black Friday. Correction: An earlier version of this report said the original law was passed in 1969. The original law was passed in 1963.